Twelve-year-old Flavia de Luce is back at Buckshaw at last, but her homecoming is overshadowed by news of her father's illness. Forbidden from visiting him in hospital, Flavia busies herself in the village, but she soon makes a macabre discovery: the corpse of a reclusive woodcarver, in an empty house, except for a curiously uncurious cat. 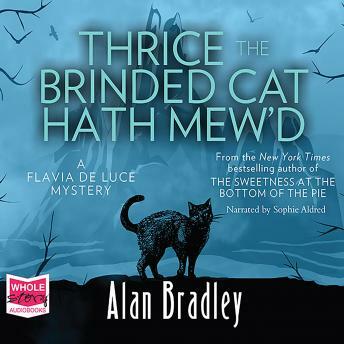 Curiosity may not kill this cat, but Flavia is energized at the prospect of a new investigation. However, what awaits Flavia will shake her to the core.